What is Davidson Kempner European Partners, LLP shorting in Europe? Up to now, we have cleaned and processed 193 short positions of Davidson Kempner European Partners, LLP. 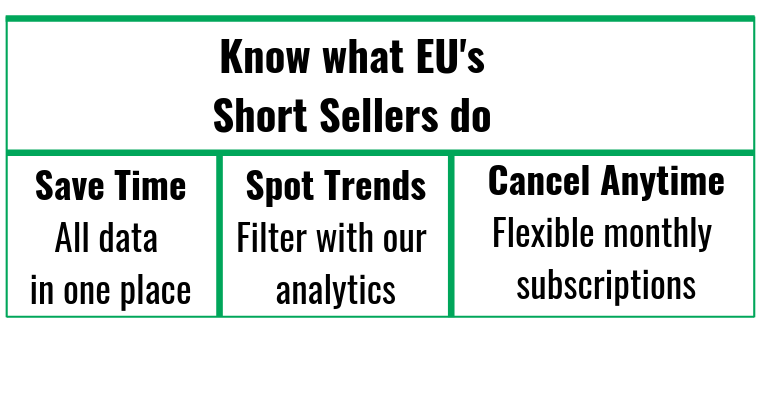 Our short selling records for Davidson Kempner European Partners, LLP start on 2012-11-01 and are updated with the latest short interest disclosures.